We have a very fun 52nd episode of our fun podcast under the MULTI-MEDIA MEN banner called ‘Media-Ocrity‘, where the show is just – okay. Here on the show, we focus strictly on horror/sci-fi, comic books, and video games – basically all the fun stuff that tickles your fancy. 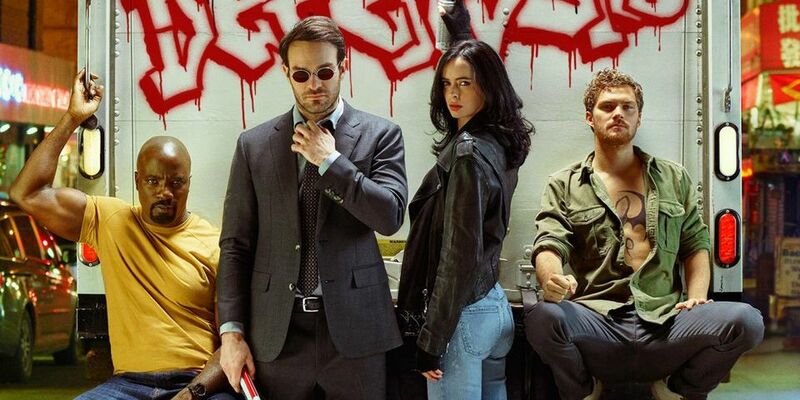 In our 52nd episode, titled ‘Let’s Remake The Defenders‘, we talk about the new Netflix show The Defenders, the latest episode of Game of Thrones, the best action scenes and the actors in them, and remaking or adapting comics, tv shows, books into films. It was so much fun. This episode is guaranteed to thrill you, chill you, and fulfill you. I am joined pop-culture wizard Jonathan Atterbury and comic book artist Jeremy Megert. This entry was posted on Wednesday, August 23rd, 2017 at 2:21 pm	and is filed under News, Podcast. You can follow any responses to this entry through the RSS 2.0 feed. You can skip to the end and leave a response. Pinging is currently not allowed. « Maya Rudolph Joins Melissa McCarthy’s The Happytime Murders!! !